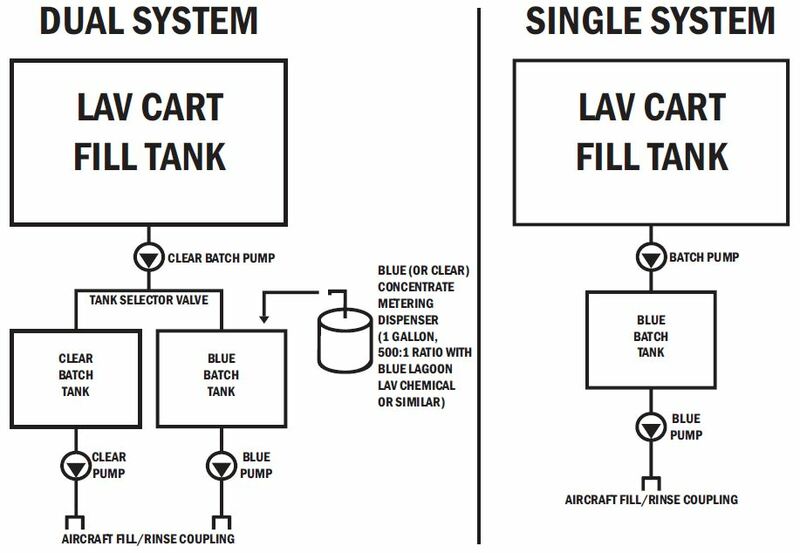 AERO’s patented “Safe-Lav” system utilizes a dedicated batching tank to determine the maximum quantity of fluid that can be delivered to the aircraft lav system. Our direct-reading tank & delivery system is unaffected by inaccurate or broken flow meters (which are the leading cause of messy lav system overfills). This kit is available for all new & existing AERO Specialties lavatory service carts. It is also available as a retrofit kit, offering easy installation onto existing lavatory service carts. A single overfill can cost thousands of dollars in aircraft damage – not to mention aircraft downtime & the loss of a good customer. Protect your good name – install AERO’s “Safe-Lav” on all your lav service equipment!